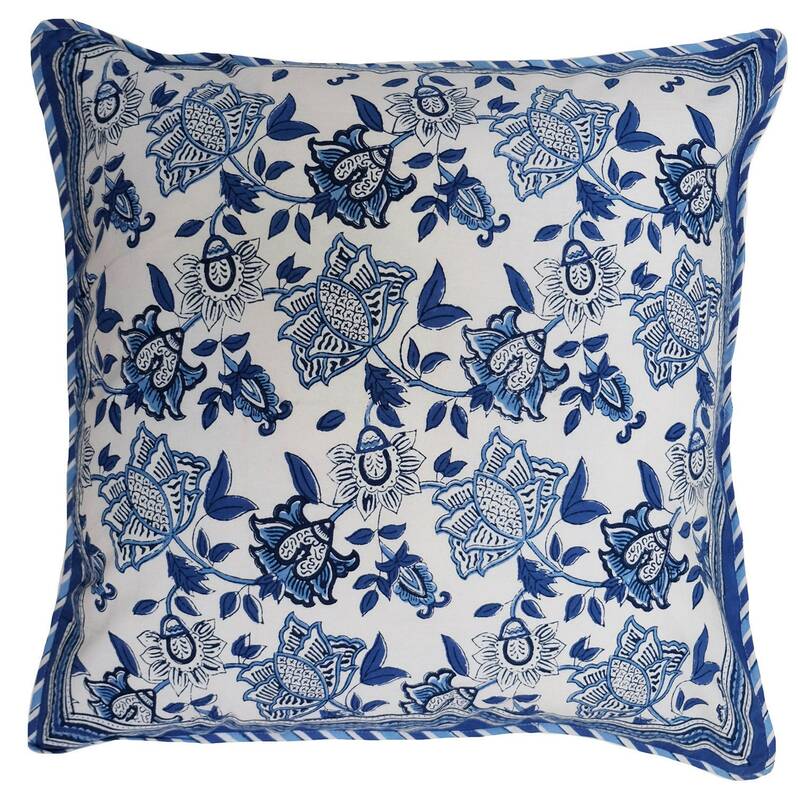 Cotton Cushion Cover - Kyoto Blue - Square 24" x 24"
The cushion covers are hand block printed on a heavy weight cotton. 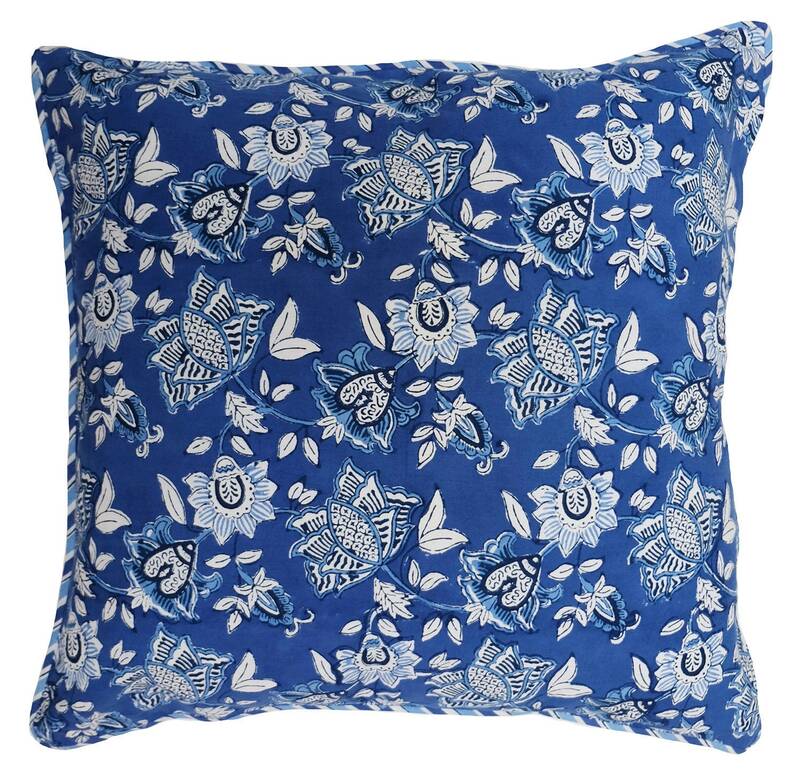 Each cushion cover has a matching border on the front and a complementary print at the back. They have a zip closure and can be ordered with or without cushion inserts. Cushion inserts are 90% down filled. • Made of 100% cotton • Hand Block printed • Naturally occurring dye variations are found on all hand printed textiles, making each piece unique.